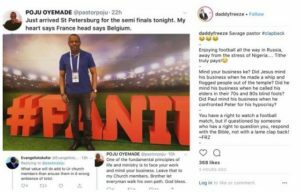 – Controversial Nigerian OAP Daddy Freeze has waded into the e-banter that ensued between Pastor Poju Oyemade and Evangelist Okafor, and in his opinion, the Evangelist has every right to question the pastor. 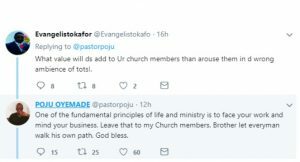 Pastor Oyemade wouldn’t let Evangelist Okafor have the last word and he clapped back, asking him to mind his business. 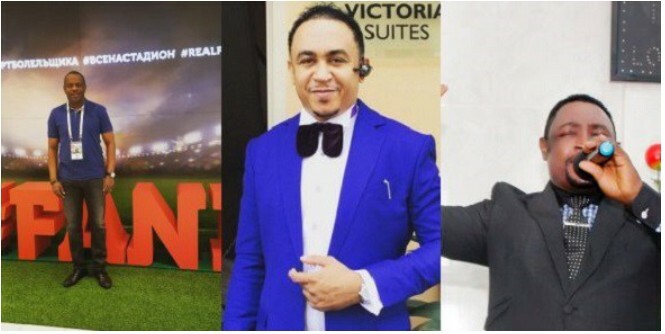 OAP Freeze however felt Evangelist Okafor had every right to ask questions and Pastor Oyemade had no right to clap back at him, so he addressed Pastor Poju Oyemade in an Instagram post. Daddy Freeze wrote: Savage pastor #clapback ??? 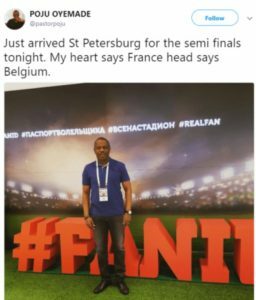 Enjoying football all the way in Russia, away from the stress of Nigeria…. Tithe truly pays!? Mind your business ke? Did Jesus mind his business when he made a whip and flogged people out of the temple? Did he mind his business when he called his elders in their 70s and 80s blind fools? Did Paul mind his business when he confronted Peter for his hypocrisy? Next Article Next post: Will Real Madrid Sign Romelu Lukaku?